It must be awards season! Industry journal The Analytical Scientist has named an Agilent spectroscopy product as one of the year’s top innovations. Every year, The Analytical Scientist Innovation Awards recognize the biggest breakthroughs in analytical chemistry. Innovations are nominated by readers, and the winners are chosen by a panel of independent experts along with the publication’s editorial team. Last year, Agilent won two TASIAs. This year’s winner is the Agilent 8700 Laser Direct Infrared (LDIR) Chemical Imaging System. A “chemical imaging system” is used by pharmaceutical, biomedical, food and materials science laboratories to analyze tablets, laminates, tissues, polymers and fibers. Agilent’s innovative new approach brings greater clarity and unprecedented speed. Labs can analyze more samples, in greater detail, in minutes versus hours. 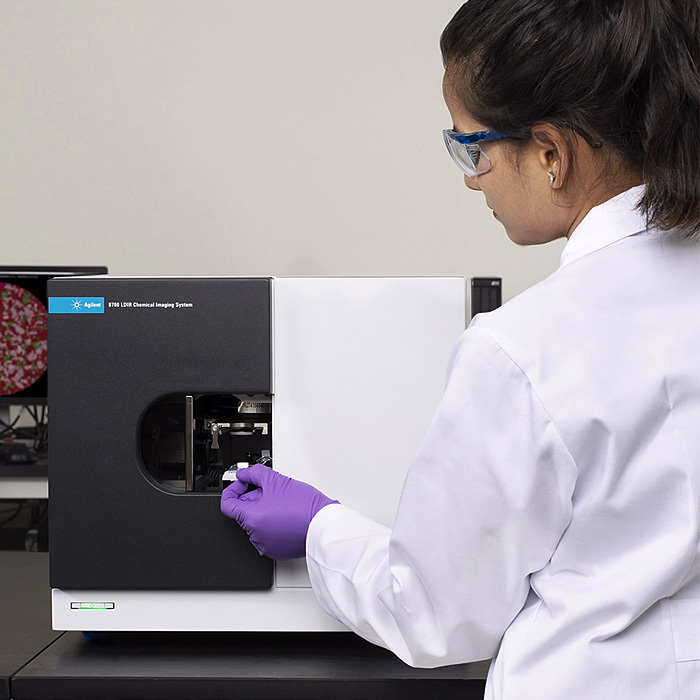 The Agilent 8700 LDIR “represents a new approach to chemical imaging and spectral analysis,” The Analytical Scientist writes. “Designed to be used by experts and non-experts alike, the Agilent 8700 LDIR provides a simple, low-maintenance and highly automated approach. Connect with Russell Lee on LinkedIn! Agilent Wins *TWO* 2017 Innovation Awards!